Getting your business to the top of Google can seem like a tricky task, especially when you’re competing against countless other websites for the number one spot. Keywords can certainly help your efforts, and keyword rankings are probably the first thing you think about when it comes to planning and executing an SEO campaign. You’ll do your research, write your content and track any changes to your position over the coming weeks and months. But, did you know that there are a whole host of metrics that many SEOs would argue are far more important than keyword rankings? SEO doesn’t just revolve around keywords — it’s about creating a site that’s user-friendly and easy to be found by both your customers and the search engines. In this article, we’ll talk you through some of the metrics you should be keeping a close eye on if you really want to give your SEO a boost. The amount of time your customers spend on your site gives you a good insight into how engaging your content is. If your content is concise and addresses a specific issue, then it’s not too much of a concern if the average time a person spends on your page is low. But, if your content is long and visitors aren’t sticking around to read it, it could indicate problems. As the below graph from Nielsen Norman Group shows, the first 10 seconds a person spends on a website are crucial in their decision to stay or leave. Pay attention to how long your customers stay on your page and track where they move to next. Do they leave your site altogether, or go to a different part of your website instead? By keeping an eye on this, you’ll be able to identify potential issues with your content and make necessary improvements. Closely linked to the time your customers spend on your website is your bounce rate. If you’re unfamiliar with this term, the bounce rate is the number of people who navigated away from your website without clicking on to a second page. If someone is leaving your site within a few seconds of arriving, it’s usually a sign that your content isn’t matching up to your customers’ expectations. It could be that your copy is insufficient, irrelevant or simply laid out in a confusing way. As a general rule of thumb, you should be aiming for a bounce rate of less than 40%, but different industries and different pages can expect to see customers leaving more quickly. Blogs, for example, tend to see a higher bounce rate. By adjusting your content and working to keep visitors on your site, you can end up with more conversions. 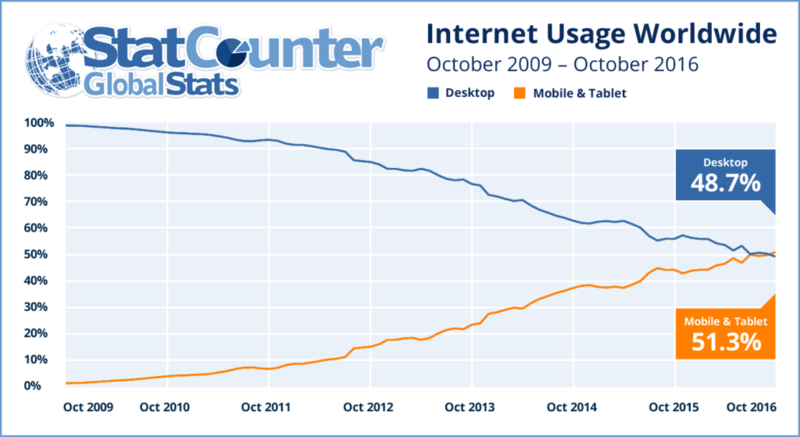 Mobile and tablet search is on the rise, accounting for 51.3% of internet use in October last year. This means it’s more important than ever to make sure your site is optimised for mobile traffic. Mobile compatibility is also looked upon favourably by Google, so putting some time into redesigning your website can really help you to move up the rankings and improve your search engine visibility. Responsiveness is key when it comes to creating a mobile-friendly website. If your site is taking more than 3 seconds to load, your customers will be instantly put off. In fact, 44% of visitors will develop a negative view of your brand if your site is slow. One of the great things about Google Analytics is that it gives you the ability to add and track specific events. 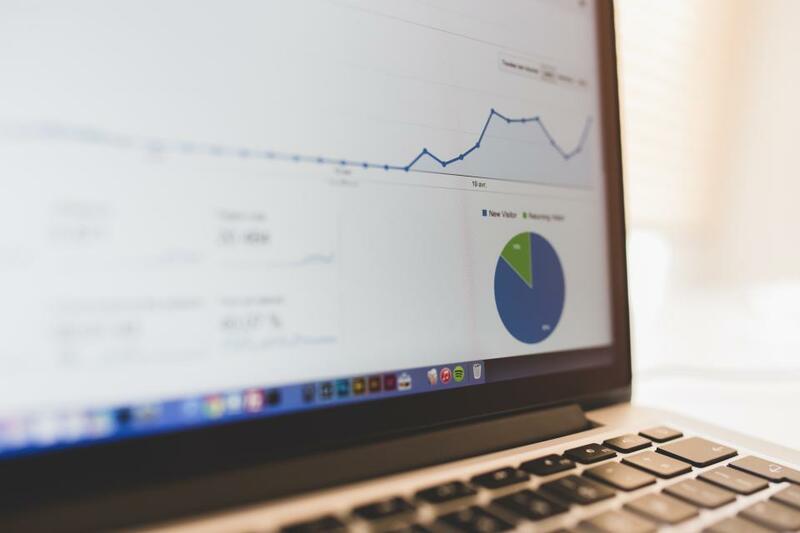 Whether you want to drive sales of a specific product, increase the number of subscribers to your newsletter or improve the number of visits to a particular page, you can add your goals to Analytics and observe their performance. This feature is a fantastic way to monitor exactly what is important to your business, and by doing so, you’ll get a better understanding of your website, your audience and where your current traffic is coming from. It’s so important to keep a close eye on the number of people organically visiting your website. If there’s a sudden drop in your organic traffic, then alarm bells should ring. And once you’ve recognised a decline, you need to find out the reasons behind it. Some factors which can affect your organic traffic include de-indexed pages, lost links, URL changes and penalties for going against Google’s algorithm. These can all be identified and rectified very easily, but the longer it takes for you to notice them, the more harm they will do to your traffic. Don’t forget that quality is better than quantity when it comes to the source of your visitors. You’re far better off having a small amount of relevant traffic than a large amount of spam traffic. 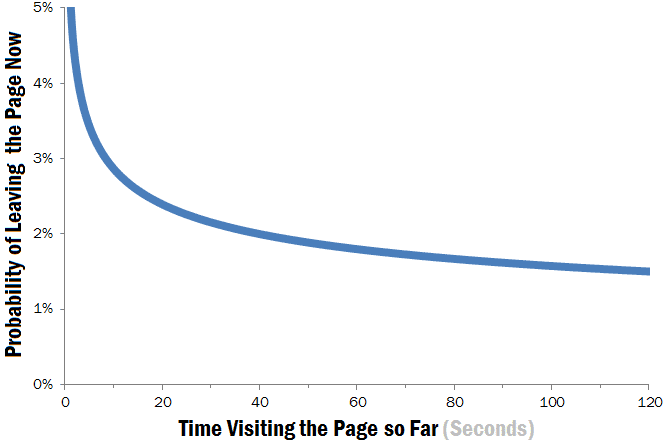 Another metric that you can analyse every day is your popular pages. This data will help you understand the kinds of content your customers are reading and enjoying on your website. Once you know the types of content that are proving to be the most well-received, you can improve your content marketing strategy going forward — which will contribute to better rankings in the long-term. When it comes to effective SEO, there is so much more to consider than just keyword rankings. Whilst keywords form the foundations of a solid campaign, the metrics we’ve discussed must also be measured if you want to achieve the very best results and climb your way to page-one results. Don’t forget to download our handy on-site SEO checklist, which tells you everything you need to do to improve your search engine visibility. These metrics are really important to track traffic generating sources and content on your site. Bounce rate and time on page tells us about the content, if the content on the page is appealing then automatically the time spent on the page will increase and bounce rate will decrease. Thanks for sharing the information.